The inquiry would be "limited in scope" and completed within a week. The White House later Friday ordered the bureau to do just that. The FBI is expected to produce a report for the White House, which the administration would then give the Senate. Democrats and outside groups had been calling for the FBI's involvement since the allegations by Christine Blasey Ford and other women first surfaced that Kavanaugh had assaulted them or committed other such acts — allegations that Kavanaugh strongly denies. Sen. Jeff Flake, R-Ariz., pitched the delay and new investigation to his compatriots, apparently setting that as his condition for ultimately supporting Kavanaugh on the Senate floor. Republican leaders, who need every vote they can get to confirm the nominee, agreed. Judiciary Committee Chairman Chuck Grassley, R-Iowa, had opposed involving the FBI but said Friday he would take up Flake's case. Ultimately he secured an agreement with Majority Leader Mitch McConnell, R-Ky.
"We've had a good day today by moving the nominee," Grassley told reporters. "A good day. We're very happy with the progress we've made." Democrats said the compromise was the right move. "I think it will be better for the country that this FBI investigation occur," Sen. Amy Klobuchar, D-Minn., told NPR. "I'm not sure what the answers will be. It's possible some of the witnesses won't even agree to talk with FBI. ... But to think we wouldn't even try would be the saddest thing for the country." The new deadline for a Kavanaugh vote is Oct. 5. Grassley asked President Trump to instruct the FBI to spend that week conducting interviews, reviewing documents and looking into the new accusations. "The supplemental FBI background investigation would be limited to current credible allegations against the nominee and must be completed no later than one week from today," Grassley said. It wasn't immediately clear whether "current credible allegations" would mean the FBI would interview only people connected with Ford's case or with some of the other women who have come forward with allegations against Kavanaugh. The FBI is unlikely to open a criminal investigation. Instead, its investigators are expected to pursue the same kind of background inquiry they have conducted on Kavanaugh in the past, focused on the new allegations. The nominee said in a statement released by the White House that he would go along. 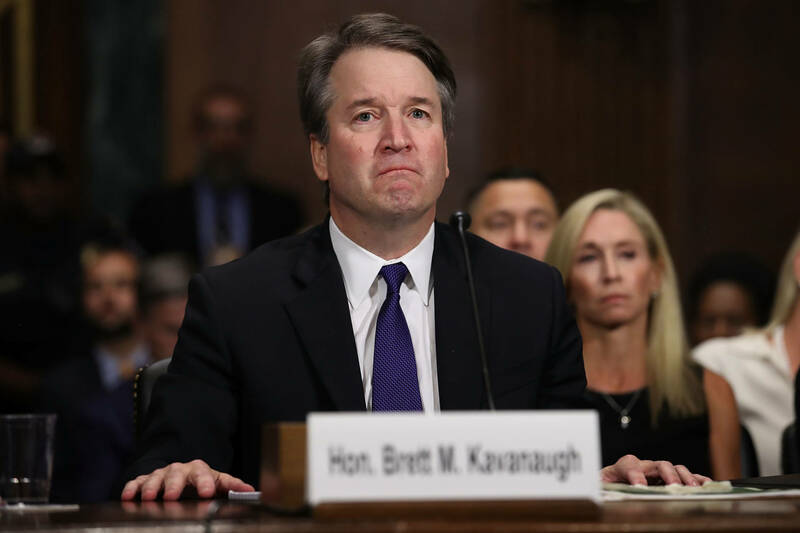 "Throughout this process, I've been interviewed by the FBI, I've done a number of 'background' calls directly with the Senate, and yesterday, I answered questions under oath about every topic the Senators and their counsel asked me," Kavanaugh said. "I've done everything they have requested and will continue to cooperate." At least one key player in this drama also volunteered to talk: Mark Judge — a boyhood friend of Kavanaugh's who has been accused by Ford of being a bystander to her sexual assault and was named in other allegations — said in a letter to the Judiciary Committee that he would cooperate under certain conditions. Judge renewed his denials about being involved with any sexual misconduct and said that he would "cooperate with any law enforcement agency that is assigned to confidentially investigate these allegations." Why Would the FBI Make a Difference? It's a crime to lie to Congress, but lying to the FBI is a whole other matter. And there is a practical difference between people in the Kavanaugh case issuing written statements — as Judge and others have done — and actually sitting down with human special agents. Investigators might glean details from people involved that aren't yet in the public eye. They might discover there are more people, including witnesses or others, than have been a part of the public accounting so far. But the FBI will not give its own determination about the truthfulness of what witnesses say — one reason Grassley and Kavanaugh both earlier said they opposed activating the bureau. Investigators probably only will conduct interviews and then pass them to the Senate, they said. Even if the bureau serves only as a gold-plated transcription service in this case, the completeness of those transcripts might exceed the body of evidence that now exists — and it would be evidence obtained from witnesses who could be prosecuted if they lied to the feds. Democrats and outside groups — and now, Flake — argue that the information that has surfaced recently means the FBI must look into Kavanaugh again. Ford told the Judiciary Committee she hadn't told anyone about her alleged sexual assault by the 1990s, when Kavanaugh was screened for a job in the Justice Department, or even by the early 2000s, when he was cleared to work in the White House of President George W. Bush. Many Republicans say the due diligence on Kavanaugh already was complete. Now that the Judiciary Committee has voted to recommend him to the full Senate, they argue, the full chamber must decide.